We took the great design of our famous reclaimed teak Maid Stool and created a Maid Bar Stool. 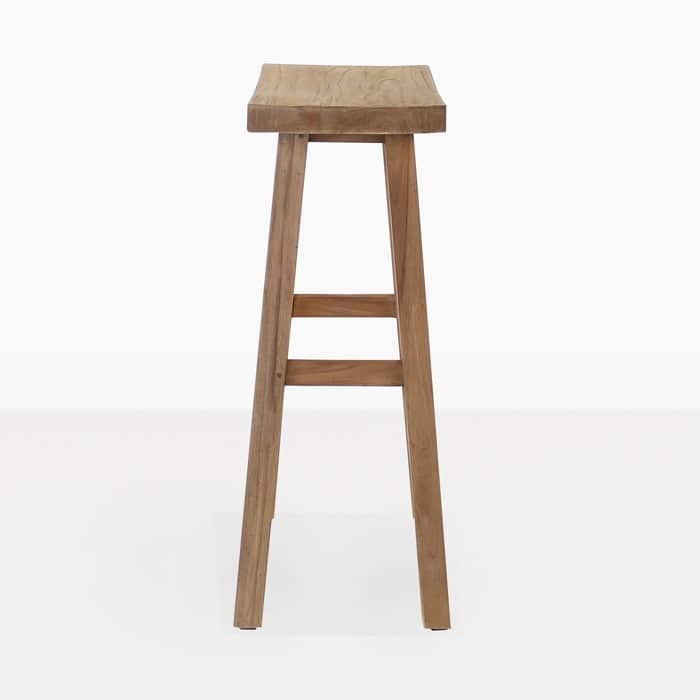 The Maid Reclaimed Teak Bar Stool is functional, simplistic and has classic good looks. 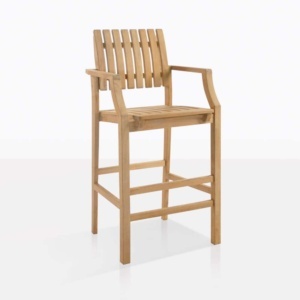 At just a little over 75cm tall, it is the perfect height to sit at your outdoor bar or indoor pub. 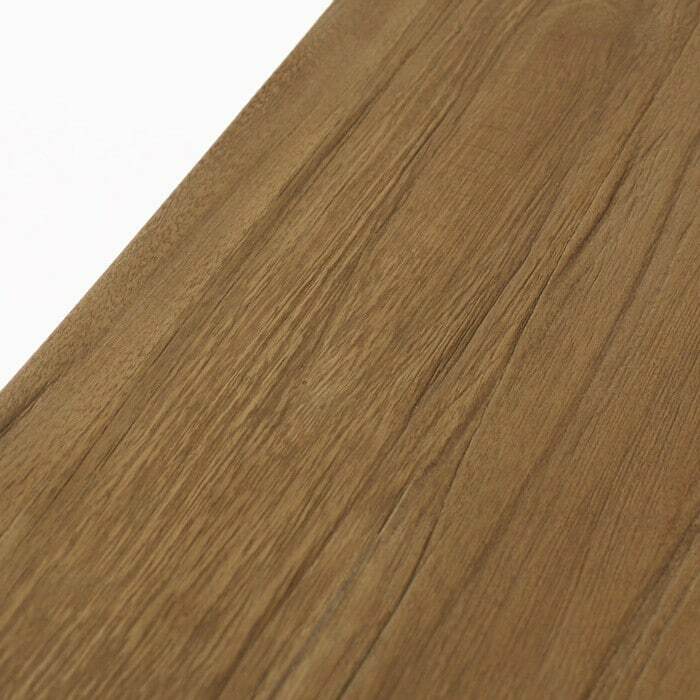 It is made with beautiful reclaimed teak that is strong and durable and has a lovely natural colour. 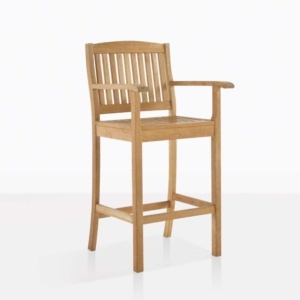 The design is simple; it has a slightly curved seat and cross bar to rest your feet on. 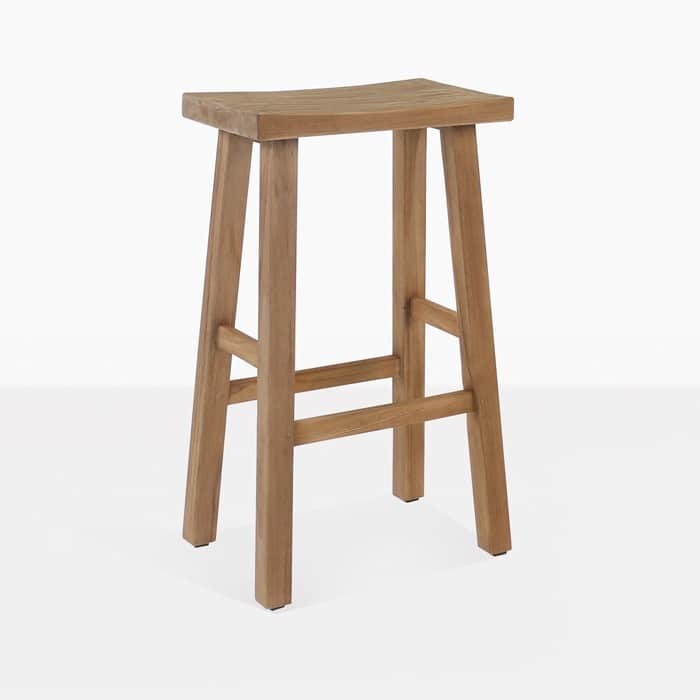 They don’t take up too much space because of their small footprint; they are great stools to add additional seating when needed for guests. They are made for outdoor use, but will also go beautifully in your kitchen. 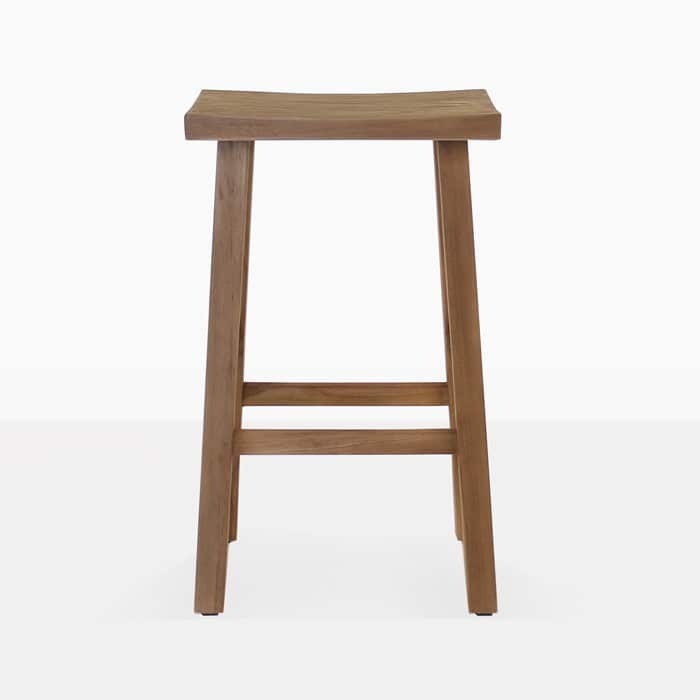 Design Warehouse offers a collection of bar and counter height furniture. Everything comes fully assembled and is ready for pick-up or delivery.